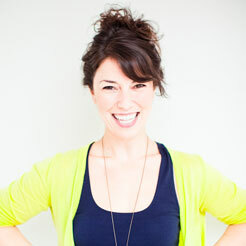 It’s the season of thankfulness and sharing…and eating lots of good food! 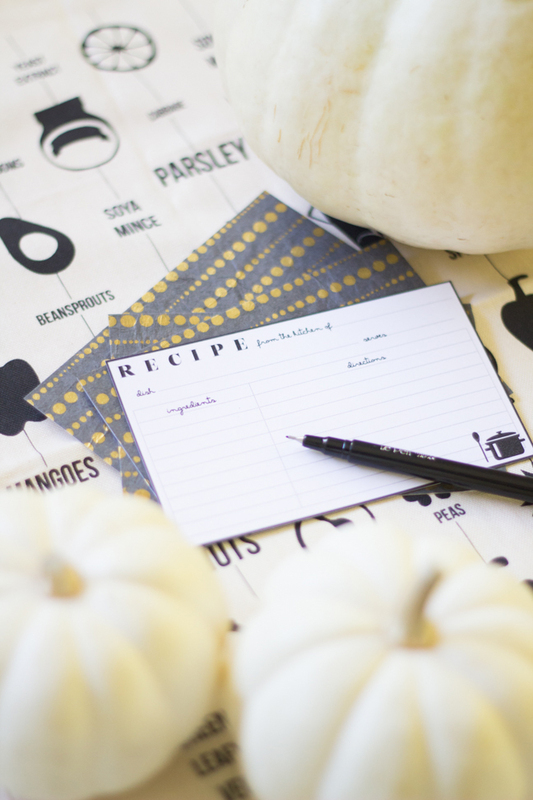 This year, in the spirit of the season, jot down some of your favorite recipes on these printable recipe cards and share them with family, friends, and neighbors. 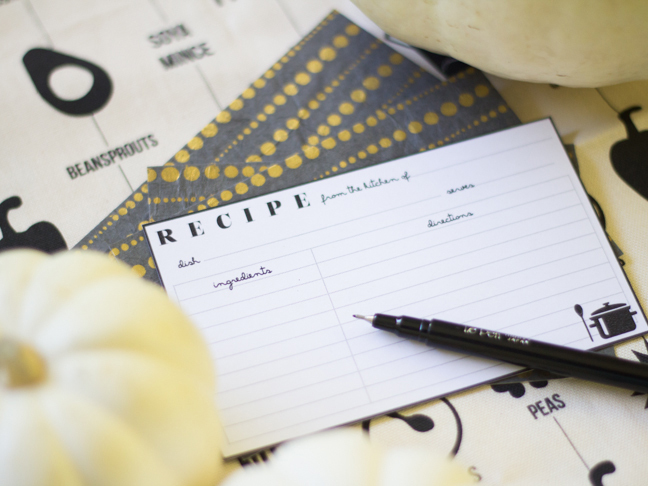 Encourage them all to do the same, and you’ll have a whole new arsenal of meals at your fingertips! It could be a wonderful new Thanksgiving tradition and a chance to try out a few meals that you might otherwise not have discovered. 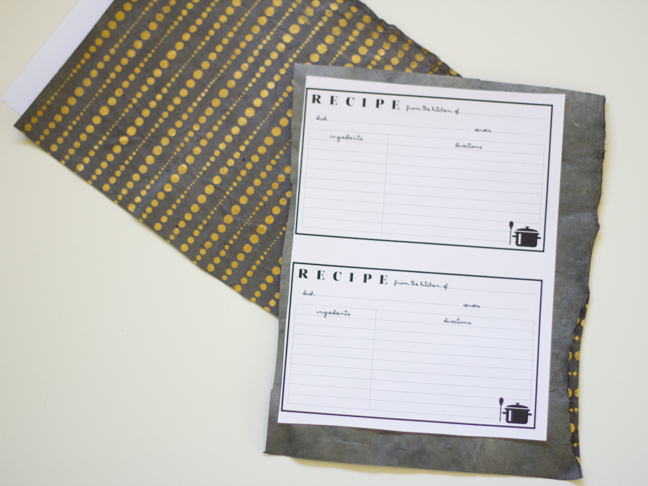 Follow the few simple steps to make your own DIY printable recipe cards. 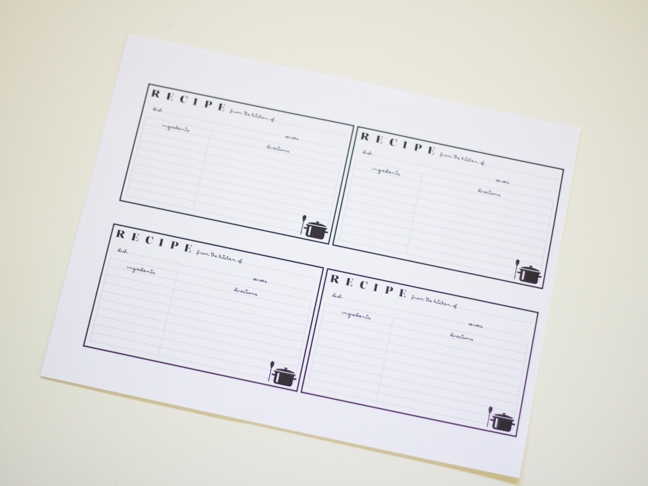 Step 1: Download and print the recipe card file onto white card stock. 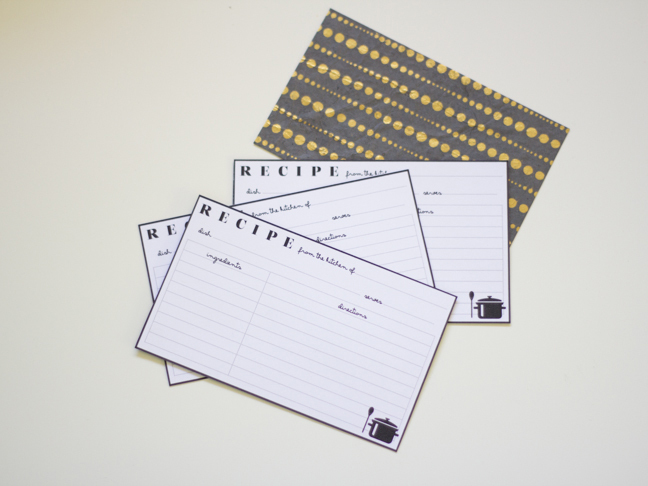 Step 2: Cover the backs of the recipe card with the glue stick. 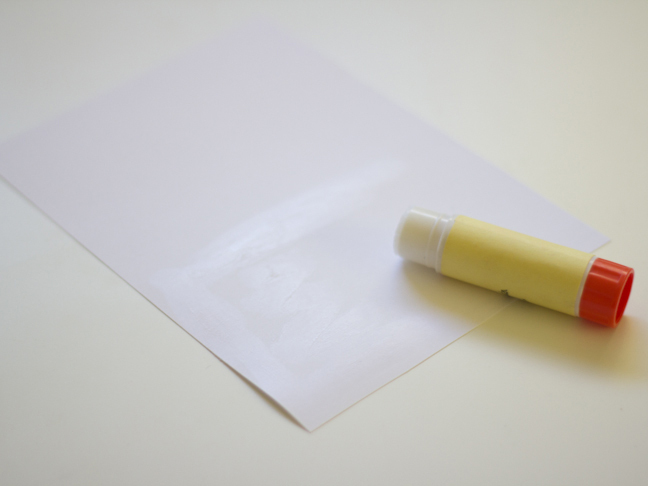 Be sure to use a substantial amount and cover the backs thoroughly. 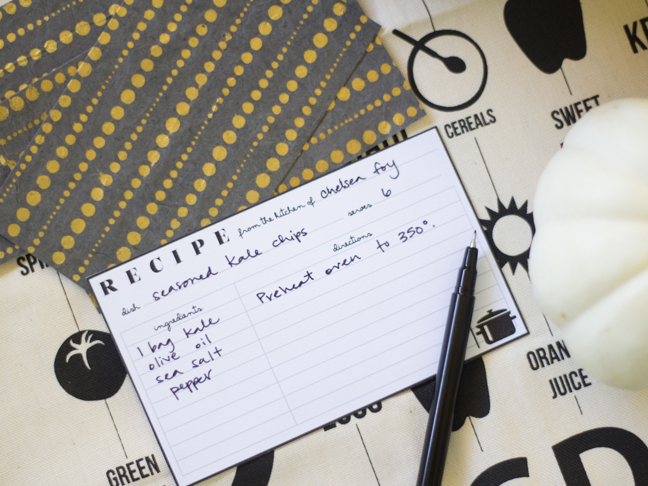 Step 3: Cut a section of your patterned paper and adhere it to the back of the card so that the pattern faces out. 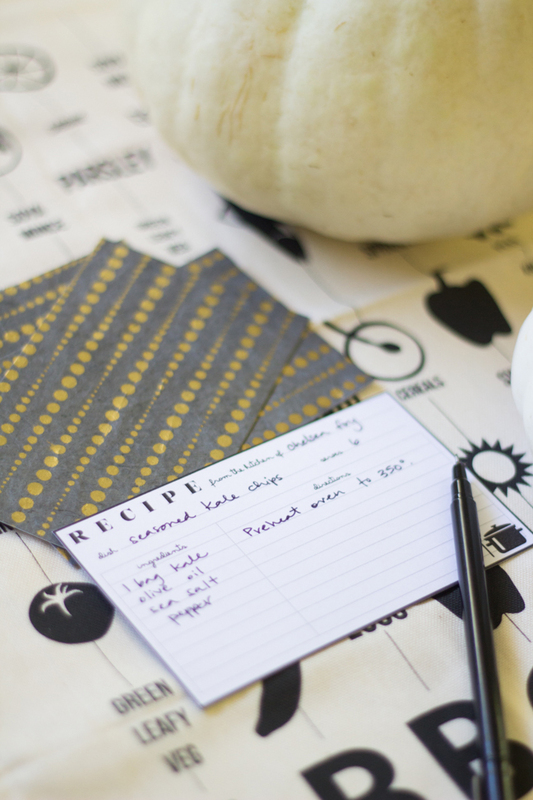 Step 4: Cut around the border of each recipe card. 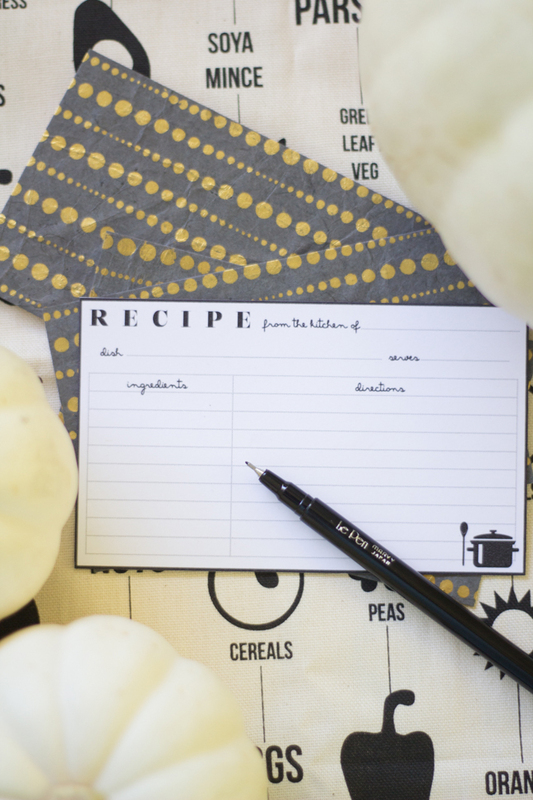 Step 5: Jot down your favorite recipes and share them with the people you love!